James M. Hansen, 66, of N Milwaukee Street, Port Washington died unexpectedly Saturday, July 5, 2008 in an auto accident in Manitowoc County. He was born December 25, 1941 in Port Washington to Mathias and Martha Klein Hansen. After high school Jim joined the Army and was stationed in Germany. He was an electrician and his last job before retiring was at the Port Washington Power Plant and he was also a member of the International Brotherhood of Electrical Workers, Local 494 for over thirty years. He enjoyed searching for and collecting antiques. Jim is survived by his partner in life Carolyn “Kay” Thom of Port Washington, daughters Tiffany (Joe) Moore of Sheboygan, Wisconsin, Tamera Hansen of Wausau, Wisconsin and Tracy (Michael) Fogle of Everett, Washington. Further survived by Kay’s daughter Bonnie Thom of Port Washington, grandchildren Joe Moore, Mitchel Large and Melanie Thom, former spouse Barbara Nenn of Sheboygan, Wisconsin, brother Paul (Joan) Hansen of Port Washington, sisters Esther (the late William) Bley of Port Washington and Doris (Ray) Tiegs of Grafton, brother-in-law Loschel Pierringer of Port Washington, other relatives and friends. Preceded in death by his sisters Mary Jane (the late Robert) Janzer and Ruth Pierringer and a brother Tom Hansen. The Rev. 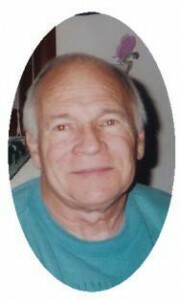 Don Zahurance will officiate memorial services 1 pm Saturday, July 12, 2008 at the funeral home. Interment Union Cemetery Port Washington. Visitation 10 am to 1 pm Saturday at the funeral home. Memorials appreciated.